The Cotswold Way is a long distance walk that runs for 102 miles (163km) from the medieval market town of Chipping Campden in the North Cotswolds, to the historic City of Bath. Following the western edge of the Cotswold Hills, the Cotswold Way route journeys through gently rolling, sheep-grazed pastures, stunning beech woodland, and dreamy, honey-coloured villages built from the delightfully warm Cotswold stone. You will cross ancient commons in an Area of Outstanding Natural Beauty, pass Neolithic burial barrows, beautiful stately homes, and historic battle sites. The path along the escarpment twists and turns, affording ever-changing views to the west towards the River Severn and the Malvern Hills. Our colleagues Katie and Shelley recently walked the 102 miles from Chipping Campden to Bath. 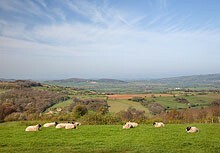 Click here to read about their walking holiday on the Cotswold Way. 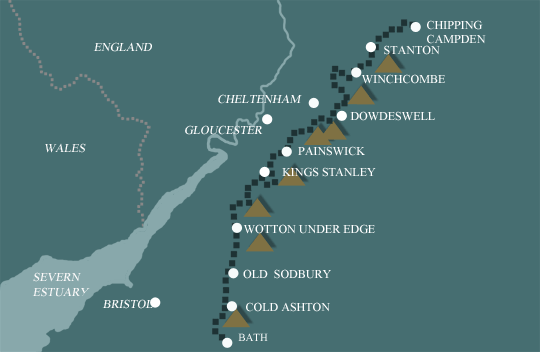 We offer a range of walking holidays along the Cotswold Way. You can walk the whole route in 6-11 days, or we offer the Northern and Southern sections as self-guided holidays in their own right. When choosing your route, please bear in mind that the actual distance walked on any day may sometimes vary by up to 2 miles/3 km from the quoted distances (depending on the exact location of your accommodation). The mileages shown are typical door to door distances for each day. We offer 6 holidays covering the whole route. The longer the holiday, the shorter the distances that you have to walk each day. 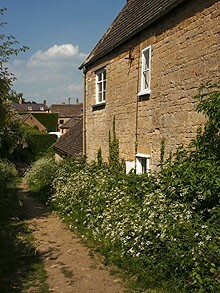 The most popular options are the 8 and 9 day hikes across the Cotswold countryside. A walk along the southern section of the Cotswold Way through stunning woodlands and past ancient historical sites. A beautiful section of the trail that ends in the World Heritage City of Bath. The UNESCO World Heritage Site of Bath with its Roman remains and Georgian Architecture. Thank you for everything, this was a new experience for us and we’ll do it again! Very happy with the service, accommodations, recommendations by Mickledore. We had a good feeling with Mickledore (more than with a Dutch organisation).